The Fr. 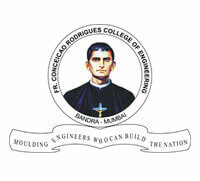 Conceicao Rodrigues College of Engineering was established by the St. Xavier Pillar in 1984. The college was founded as one of the arm of the Fr. Angel Technical Complex, Bandra, Mumbai. Thus, it is also popularly referred as Fr. Agnel Bandra. The first course to be introduced in the collegen was Production Engineering. The college started its journey with 60 students. Today, it has grown into a full-fledged engineering college with numbers of engineering branches. It offers Undergraduate and Postgraduate courses. The Fr. Conceicao Rodrigues College of Engineering is counted among one of the finest colleges of engineering of Maharashtra. The college is affiliated with the University of Mumbai. The college is accredited by the AICTE. The Department of Technical Education of Maharashtra has given it ‘Grade A’. The college is a non-autonomous minority institution. The NIRF, Ministry of Human Resource Development has given it a place among the top 200 engineering colleges of India. The ‘Education World’ has assigned 48th position to the college among the private engineering colleges of India and 6th among the Maharashtra colleges of engineering. The students have access to library, laboratories, internet, sports clubs, hostels, and canteen. The whole campus is Wi-Fi enabled. There is an e-learning facilities for students. Computing – There are 450 terminals connecting whole campus. All terminals are connected to LAN. Library – There are around 31,000 books in the library. The total area of the library is 400 square meters. At a time 100 students can sit and study in the library. The college has a nine-storeyed building for administration and academic purpose. Hostel – The College has started purchasing flats to provide lodging facilities to students. The students are charged a nominal lodging fee of ₹ 4, 500 only. The college hold debate named Fr. Conceicao Rodrigues Memorial debate annually. It is a national level debate in which participants are invited from around the country. Crescendo – It is an annual technical festival of the college. CRCEites – This is the annual cultural festival of the college. Since the college is given ‘Christian Religious’ minority status by Maharashtra, thus 51% of the total seats in every engineering stream is reserved for the Christian students. The admissions in the college are made through the CAP (Centralised Admission Process). A student should have completed 10+2 with PCM subjects from a recognised board. He/ she should have a minimum aggregate of 50% marks in the Class 12th. The reserved category candidates or PwD candidates should have a minimum aggregate of 45% marks in Class 12th. A student who has passed B. Sc from a UGC recognised college/ university with a minimum aggregate of 50% marks are also eligible for admission in the B. Tech course. The applicant should have appeared in the MAH-CET Exam. Admissions in the M. Tech course is done on the basis of the educational qualifications (given below) and GATE Exam scores. A student should have completed B. Tech/ B. Sc/ equivalent from an AICTE recognised college/ university/ institution. He/ she should have a minimum aggregate of 50% marks in the bachelor’s course. The reserved category candidates or PwD candidates should have a minimum aggregate of 45% marks. The applicant should have appeared in the GATE Exam. Students can get the application form online. For institute level admission, students should take the print copy of the online application form and fill it with all required details and get it duly signed by the authority. Then they should send their application to the college with an application fee of ₹ 1000. Many prominent companies come for making the placement. Some of the companies coming for placement are JP Morgan, Nerolac, NSE, Amdocs, IBM, Patni, HP, Tech Mahindra, Federal Bank etc. Min. 3. 50 lakhs to Max. 14. 00 lakhs per annum.